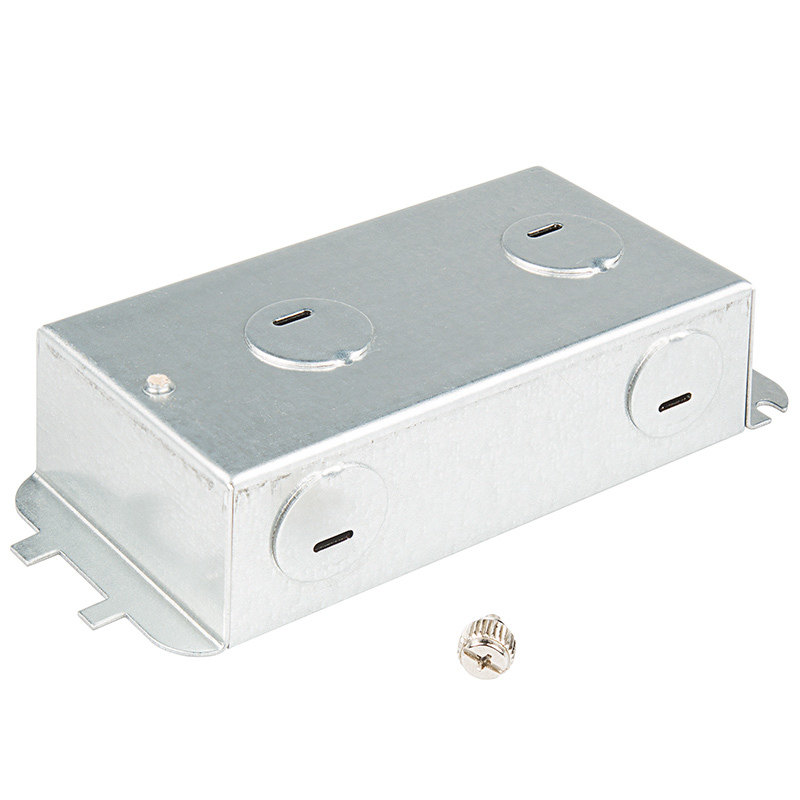 Use this junction box to enclose wires on your dimmable 1'x2' or 1'x1' LED panel light. 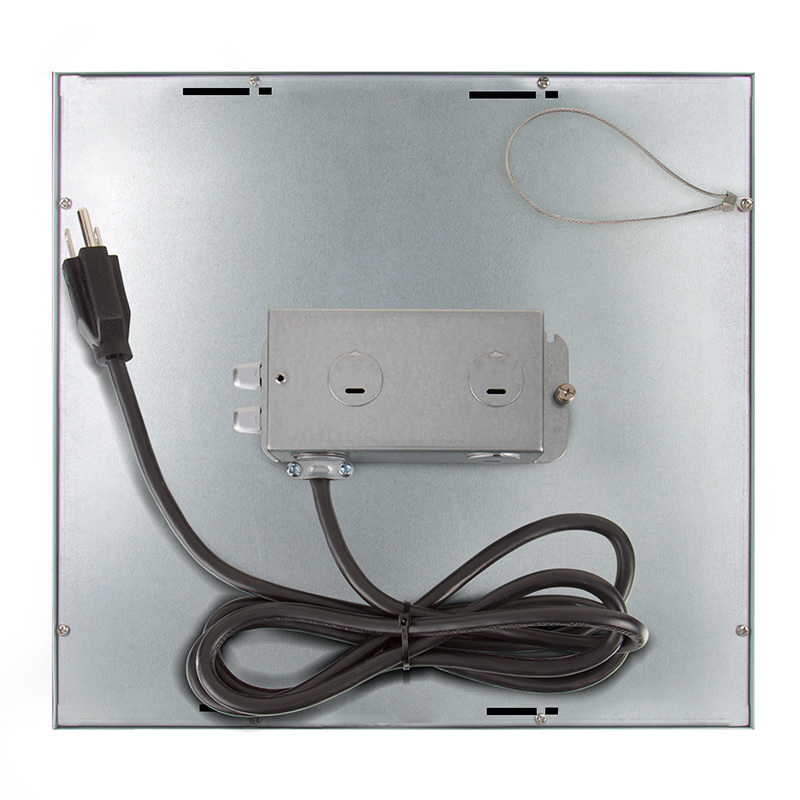 The j-box can be used for recessed mounting in a drop ceiling or for creating a stand-alone panel. Easily run conduit through a choice of 6 knockouts. Built-in tabs fit into slots on the back of your panel, and the included thumb screw holds the j-box in place.